Did Campus Ministry Feed Your Soul at any point during your four years at Fordham? 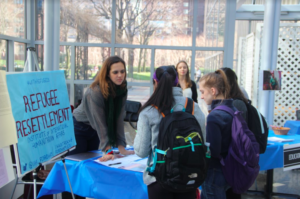 Stay connected with Fordham Campus Ministry, as you graduate and carry the mission with you. Join our Affinity Chapter for Alumni to stay up-to-date on the latest happenings, support current programs, fundraise, and network, all while fostering a deeper community. Interested in getting involved? 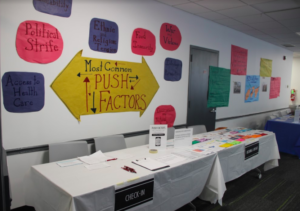 Contact Vanessa Rotondo, FCRH ’17 (vrotondo@fordham.edu) to find out more information for this chapter. We look forward to welcoming you back to our Campus Ministry Ramily! Another way to stay involved is by giving back to Campus Ministry. Any donation made to Campus Ministry will count towards membership to the President’s Club (minimum donation of $1,000). We welcome donations of any size, if you are interested in giving, follow this link. Already Participating in the Simulation? Follow this link to access videos that supplement each station you attend. 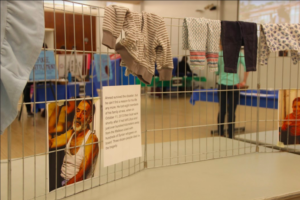 Walk in the shoes of the many affected people through an interactive simulation that takes you on the path of a refugee from home to camp. 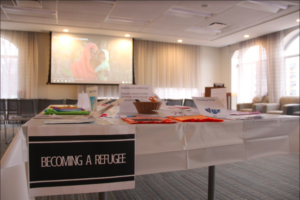 As more people become displaced, we must educate ourselves on the issue so as to be better equipped to advocate for those who are most impacted. On average, you can go through the experience in 30 minutes, but we invite you to go at your own pace to fully gain a deeper understanding of the many issues discussed. 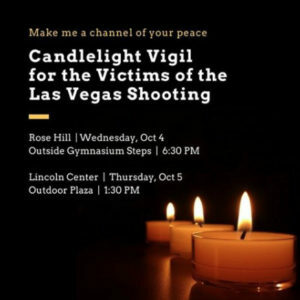 Join Campus Ministry and members of the campus community to remember and honor those who lost their lives and were injured in the Las Vegas shooting.